When the ability to become a air traffic controller hit the app store in the form of Flight Control, the line-drawing genre was born. Then came Harbor Master, Zombie Escape, and a series of knock offs. 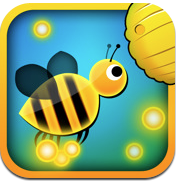 Now there’s Pollen Count, a Chillingo release that doesn’t necessarily hold its honey. 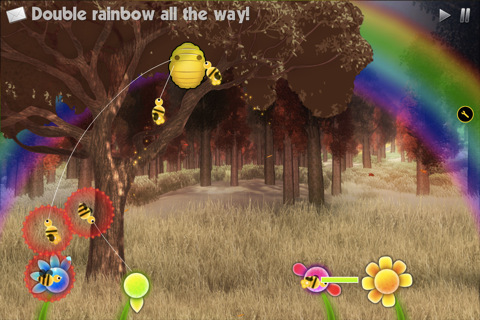 Pollen Count starts with a simple tutorial that teaches gamers the process of getting honey to the honey comb before two bees crash and end the level. 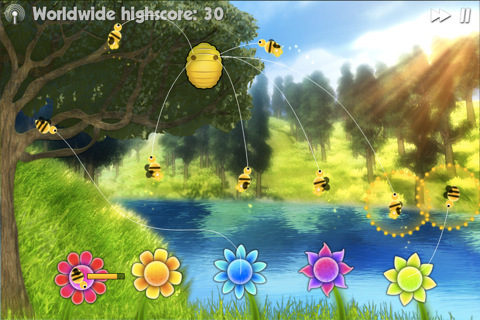 The idea of the game is to draw lines from flying figures down to multi-colored flowers at the bottom of the screen, let them fill up on honey, and then send them safely back to home base. 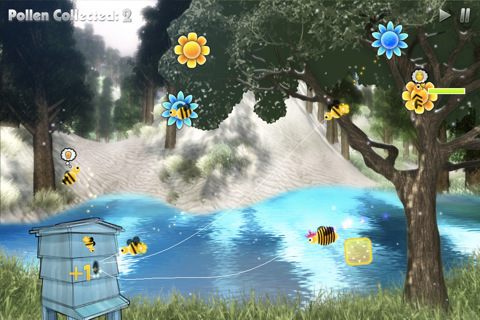 Although the controls couldn’t be simpler (all you have to do is trace a line that defines your bee’s route from one place to the next), the timing required to get the honey comb filled is more difficult than it sounds. 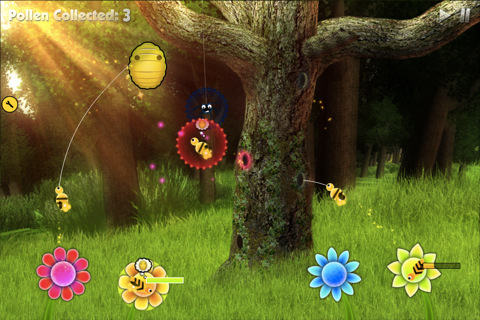 The challenge arises because bees take time to fill up on honey while they’ve made a pit stop in the four flowers on the screen. 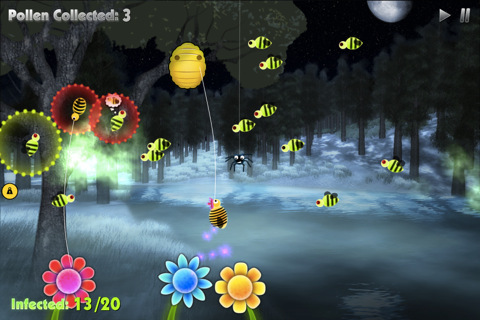 Add to that the varying speeds of different bees, spiders who try to ruin the show and more, and suddenly Pollen Count is more challenging than the cutesy graphics let on. The idea for this kind of knock off is solid and Pollen Count does everything right with Crystal Integration, but something about this formula just doesn’t feel as original, authentic, or addictive at the line-drawing original. Bottom Line: Pollen Count is a line-drawing knockoff with a few extra variables, but unless you’re a fan of this specific genre of games, this purchase might sting.